RIVETING ENTERTAINMENT, A market leader in entertainment video production, becomes Global Trust Group’s newest portfolio company as the Group leads an investment round to expand Riveting’s content development platform. RIVETING ENTERTAINMENT, a market leader in music entertainment production, is changing the way top talent manages, creates, and monetizes unique content. The Company is simplifying the production process by taking an active role from beginning to end by co-owning and developing high quality content for distribution in the rapidly expanding global media markets. The shift into this new model was funded in an investment round led by Global Trust Group’s Global Media & Entertainment Fund and Global AIF II partners and advisors fund along with Ryan Blair’s Hashtag One fund. The funding raised will provide working capital as RIVETING ENTERTAINMENT expands its market leadership and execution of expanding their already strong content and talent promotion product pipelines. As one of the industry experts in music video production Riveting Entertainment is poised to emerge as a leader in content production and distribution. Riveting Entertainment is disrupting the traditional model shifting from cost heavy and fragmented legacy production companies to a full service pre and post-production content development partner that creates value for both established and emerging industry talent. Andrew Listermann states “2015 has been an exciting and critical year of building with key partners like the Global Trust Group – 2016 will be a Riveting year”. A key production emerging from the RIVETING ENTERTAINMENT platform is an extraordinary full feature length documentary on the life and times of music superstar Chris Brown, “Welcome to My Life”, planned for release in 2016. 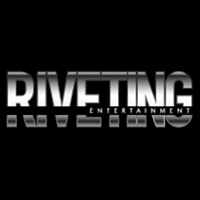 RIVETING ENTERTAINMENT GROUP is comprised of a multi-award-winning production company with a roster of top level Directors, a music label (distribution and publishing), a talent management company and a post-production company – all under one roof. Riveting was founded in 2008 by veteran producer Andrew Listermann with his partner (and CFO) Emerald Listermann. In less than 7 years, the company has produced more than 250 music videos and commercials with repeat clients ranging from Chris Brown, Ariana Grande, Lady Gaga, Nicki Minaj, Justin Beiber, Mary J Blige and Diddy, among many others, to international brands like Reebok, LG Electronics and American Express. To date, Riveting holds under its belt, 3 MTV Video Awards and the 2011 BET Video of the Year Award. In 2011, Riveting Post was launched under the REG umbrella, as a post-production company that services all of the Riveting produced projects, but also third party clients’ projects. Riveting Post has a team of talented creatives and producers that keep the workflow smooth from start to finish. For additional information please contact Global Trust Group at 917.297.6700 or via the web athttp://globaltrustgroup.com/contact-us/.